PRICE REDUCED 4 A White Christmas Vacation!! !Gated White Mountain Summer Homes!! Property 1: PRICE REDUCED 4 A White Christmas Vacation!! !Gated White Mountain Summer Homes!! Gorgeous Cabin in the Highly Desired White Mountain Summer Homes Community! Property 3: Gorgeous Cabin in the Highly Desired White Mountain Summer Homes Community! Property 5: Snowed Inn Cabin - Luxury in Gated White Mountain C.C. Cozy Cabin at White Mountain Country Club! Property 9: Cozy Cabin at White Mountain Country Club! Gorgeous Cabin in the Pines - Step into a storybook and a simpler time! Property 15: Gorgeous Cabin in the Pines - Step into a storybook and a simpler time! LUXURY KNOTTY PINE CABIN IN THE PINETOP LAKES C.C. Property 19: LUXURY KNOTTY PINE CABIN IN THE PINETOP LAKES C.C. It's Time to Book for Summer Escapes! Save 30% on 7 Nights or more! Property 20: It's Time to Book for Summer Escapes! Save 30% on 7 Nights or more! Pinetop Lakes Country Club WI-FI, ROKU, Netflix, A/C, Shuffleboard! Property 24: Pinetop Lakes Country Club WI-FI, ROKU, Netflix, A/C, Shuffleboard! 3 Bedroom 2 Bath, FUN FAMILY CABIN FIT FOR THE PICKIEST OF VACATIONERS! Property 29: 3 Bedroom 2 Bath, FUN FAMILY CABIN FIT FOR THE PICKIEST OF VACATIONERS! Beautifully Updated Spacious Cabin close to everything. Property 33: Beautifully Updated Spacious Cabin close to everything. 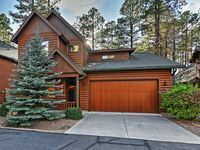 Fully furnished cabin located in Pinetop Country Club! 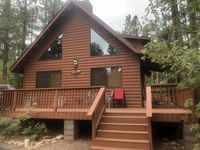 Property 40: Fully furnished cabin located in Pinetop Country Club! Mountain Cabin Retreat w/ Game Room & Views! Property 43: Mountain Cabin Retreat w/ Game Room & Views! Log Cabin, the weather is perfect up here on the mountains, come up and play!!! Property 46: Log Cabin, the weather is perfect up here on the mountains, come up and play!!! Property 50: Spacious Log Cabin in the Pines with Room for the Whole Family—And then Some! Enjoyed our stay! Second time staying at this cabin and will definitely be our 1st choice for future stay in Pinetop. Thanks for sharing your cabin we enjoyed the beauty and comfort!